Recently one of our staff members, River Wise, conducted a science project that we featured in our blog about The First Ever Biological Inventory of Bridal Cave. We weren't the only ones that found this to be an intriguing subject. 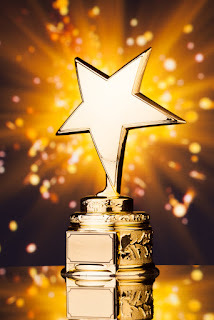 River was recognized for his outstanding study of our popular Lake of the Ozarks scenic attraction with an impressive award! The project was titled "Biological Inventory of the Invertebrate Fauna of Bridal Cave." The Science Research Class at Camdenton High School, where River attends as a junior, had been discussing the fact that a biological inventory would be an interesting subject. River immediately thought of us as the perfect place for this class project to happen. Ten invertebrate were found as well as an invasive species, Oxidus gracillis, more commonly know as the Greenhouse Millipede. In the previous blog published last November, we shared a few photos of some of the other creatures that were discovered. Every spring in mid-Missouri we anxiously anticipate the beautiful blooming Dogwood trees. 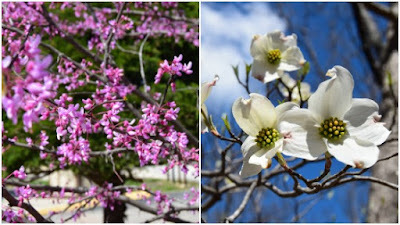 In honor of these magnificent natural works of art, every year Camdenton hosts the Annual Dogwood Festival. All of the family fun activities take place just up the road from Bridal Cave and Thunder Mountain Park. This year we expect everything to be bigger and better than ever before! This festival is one of the best annual events at the Lake of the Ozarks. It celebrates Missouri's state tree, the Flowering Dogwood. While usually seen with gorgeous white flowers, Dogwoods can also be discovered with pink petals too. 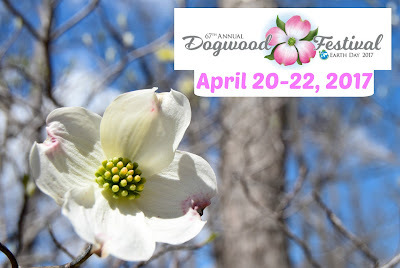 Camdenton's Dogwood Festival holds the record for the longest continuously running festival in the lake area. This year's theme is "Good To Be Green" partly due to the fact that this year's event takes place during Earth Day on Saturday, April 22. 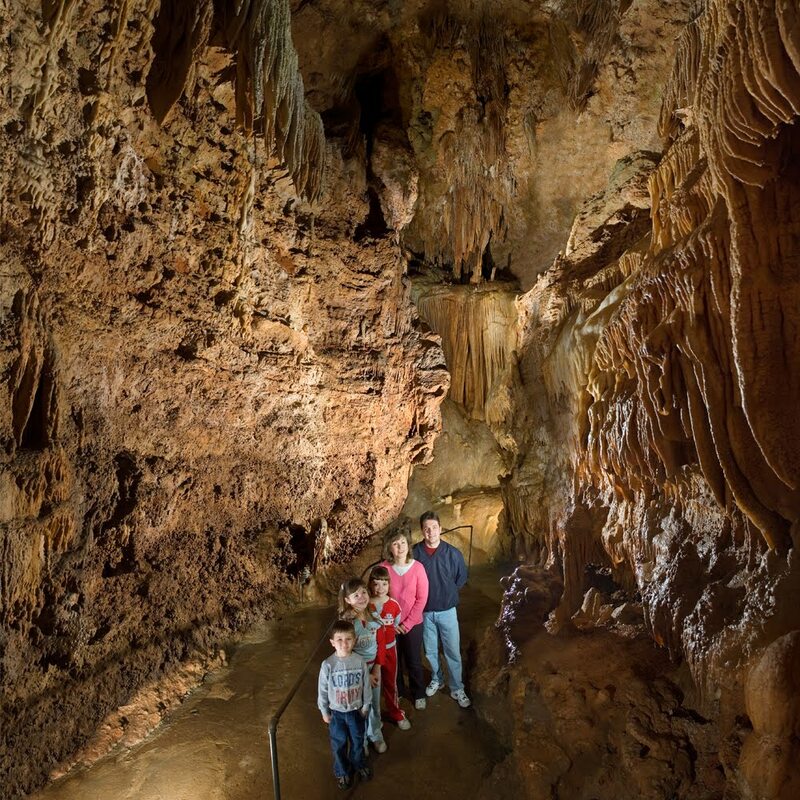 Bridal Cave & Thunder Mountain Park are full of all kinds of natural beauty, but if not taken care of properly, that beauty can be dulled by everyday wear and tear. We have a full-time staff making sure our Lake of the Ozarks scenic attraction is well-cared for, but there's a lot of gorgeous earth that doesn't have a caretaker all of the time. That's where each of us can make a difference. There are many things that you can do that will quickly become a habit and second-nature to you. There are also some extra steps you can take that aren't difficult and make a huge impact on the world we live in. Here in mid-Missouri, we get to enjoy the gorgeous colors of many different flowering trees every spring. The "April showers" help to bring the sleeping trees to life at our scenic Lake of the Ozarks outdoor attraction, and eye-popping blooms begin emerging everywhere that you look. The trees on the trails at Thunder Mountain Park change from dull browns and grays to vibrant greens, pinks, whites, and more! Spring Travels North Southern Missouri actually gets to see these beautiful colors a little earlier than the rest of the state. Spring blooms begin showing themselves in March down there, then slowly travel north, from lower to higher elevation as the average daily temperature rises. The northern cities will see the peak of their flowering trees begin to fade away in May. The last two weeks in April is about the time when it's breathtaking, no matter where you are in the state.